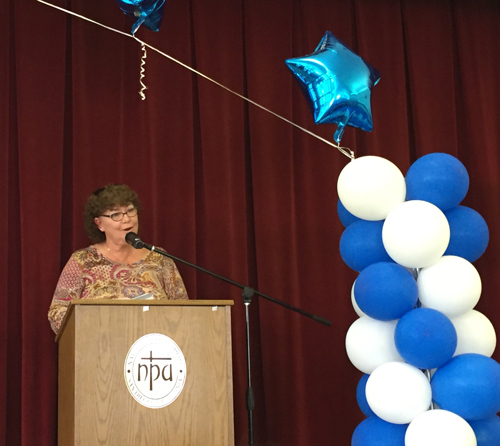 The annual luncheon for the sponsors of the students at Nativity Prep Academy was held in the auditorium at Holy Spirit Catholic Church, the location of Nativity Prep Academy. The tables were filled with students, mentors and sponsors. 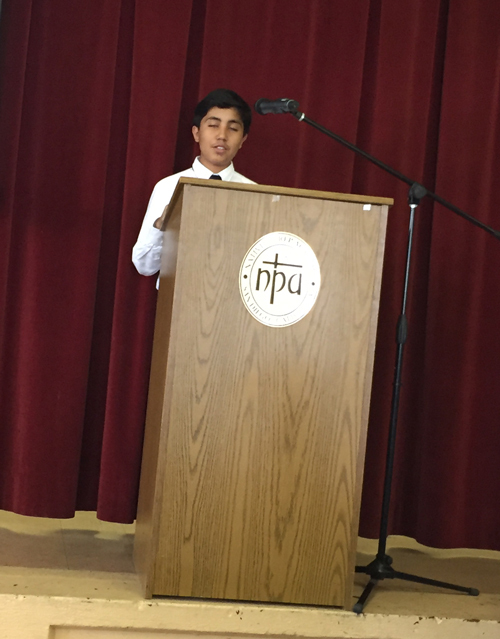 The Menard Family Foundation student, Ignacio, was the student who led the opening prayer. The parents of the students prepared an amazing feast of Mexican foods and a wide variety of desserts. Updates on the school and the students were provided by President Brendan Sullivan. Each sponsor received a coffee mug that was personalized by the student.